While economic and political ties between China and Africa have grown substantially in the last years, our understanding of African perceptions of China is still limited. Those pieces of cross country survey data which are available draw a positive picture of African perceptions of China but surveys are not comprehensive and only consider various African countries as a whole. Starting from here, this paper looks into how opinions on China form in different parts of African society, using case studies from unions, political elites and civil society. It comes to the conclusion that trade has an overall bigger impact on popular perceptions of China than FDI, which has been the focus of much literature. While a rising trade deficit has an overall negative impact on perceptions of China, increased Chinese trade is perceived positive by consumers that get more competitive prices and small scale vendors. Civil society organizations in Africa sometimes show critical opinions but are also increasingly engaged by China. Western Media generally tends to portrait China's relations with Africa in a more negative way, than it is perceived by most Africans. Several studies confirm that Africa is the continent that on average holds the most positive views on China. China, Africa, public opinion, perception, labor unions, political elites, civil society. ISNAD Rebol, Max . "Public Perceptions and Reactions : Gauging African Views of China in Africa". 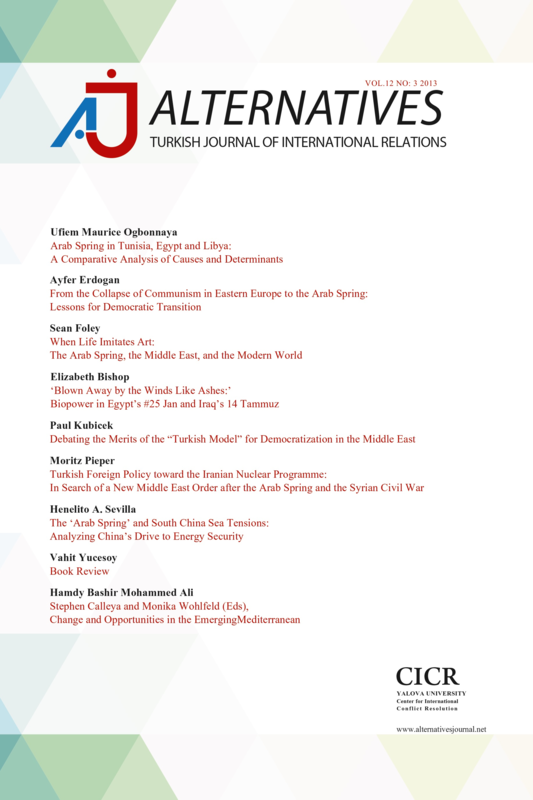 Alternatives: Turkish Journal of International Relations 9 / 4 (August 2010): 149-186.